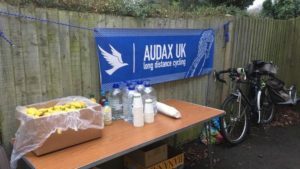 This Audax was on my list of things to do as Geoff really wanted to do it last year but for some reason, we were unable to do it I expect i was running or something !! Anyway, I was determined we would do it this year even though Geoff seems to have lost a little bit of his love for cycling !! The Travelodge at Alfreton was booked for 2 nights to make it all a bit easier, and as we travelled down I was excited about doing our 2nd 300km event even if Geoff wasn’t. We set our alarm for 4.30am and had our egg sandwiches ready for breakfast, I still find it far too difficult to eat this early in the morning but managed half my sandwich before we set off for registration at Alfreton house, taking a banana with me to eat before we started the ride at 6 am. We soon realised it was very cold much colder than we had anticipated, in fact, according to the BBC it had been the coldest April night for 6 years! 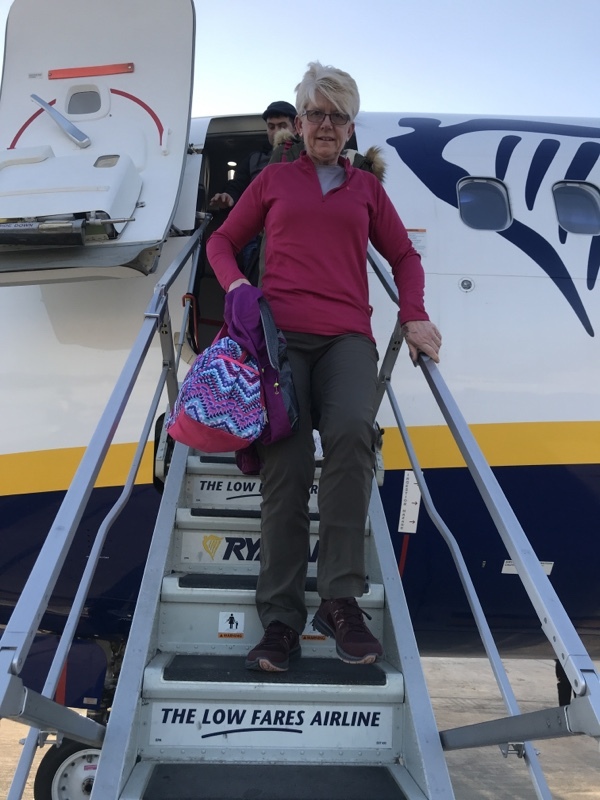 By the time we reached the first control point in Newark, I was actually wondering if I was going to be able to carry on but after a bowl of the best porridge and honey I have ever tasted I was ready to face the cold again. Next control point was at Woodhall Spa and for a short while we rode with a small group from Derby Clarion, the time goes much quicker when you have someone to chat with, they had great riding skills too, taking it turns on the front,unfortunately after a while we lost them going up a hill. 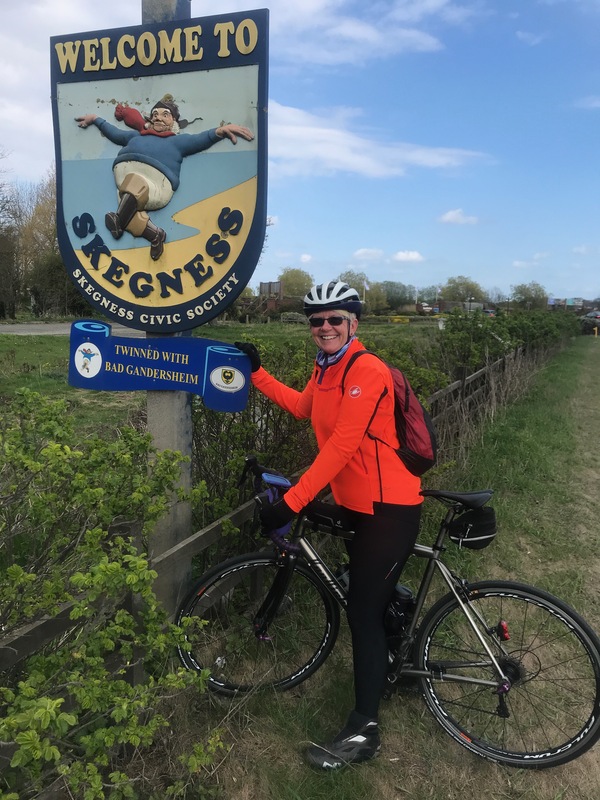 We left poppies heading for the information control at Sutton on Sea, looking forward to the tailwind, first we had to stop and get a photo by the welcome to Skegness sign, then it was on via chapel St Leonard’s spotting the Butlins big top tent on our way,but no sign of the sea! Our route instructions said to write down the information found at the public toilets. In Horncastle, I thought Geoff would stop for our receipt at the local Garage especially when I saw other riders there but he sailed passed and we stopped for a warm up in Costa coffee, I didn’t find the soup very filling at lunchtime so I took the opportunity and had a very enjoyable Sausage bap. Only 35km to Lincoln and lovely to see the cathedral on the horizon, in fact, this stretch was the best bit weather wise, here we stopped at the local Coop for our receipt, added lights and another layer as the temperature was beginning to drop again. At midnight we rolled back into Alfreton house 18 hours after we left. While getting our Brevet Card checked and enjoying yet another cup of tea we discovered, 2 things our route sheet was an old one we had downloaded from the internet, for some reason we had not received the up to date information through the post. So no information was needed from Sutton on Sea and the first man back finished 6 hours before us and had been in the pub all evening! While I would like to do a Summer 300 I am not sure I will be able to persuade Geoff so it’s back to 200 km for the next 5 months! This entry was posted in Personal on April 20, 2019 by Sally. At last a calendar event, an opportunity to meet up with like minded people and soak in all the amazing Audax stories! 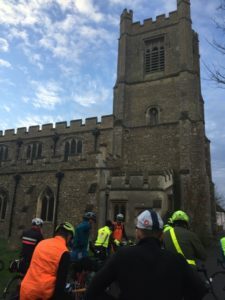 We arrived in Great Dunmow with plenty of time to get our Brevet Card and have a coffee, it wasn’t long before we were seeing familiar faces and chatting with other riders we knew from Cambridge. The talk was mainly about the wind and how it would blow us out to Snetterton then would be head-on from Snetterton to Newmarket before easing up again for the last leg home! At 7.30 am we all gathered outside ready to go, I love the way complete strangers chat away to you like they know you, Audax riding is so friendly, after the first few kms, the group starts to spread out as we settle into our own riding pace. 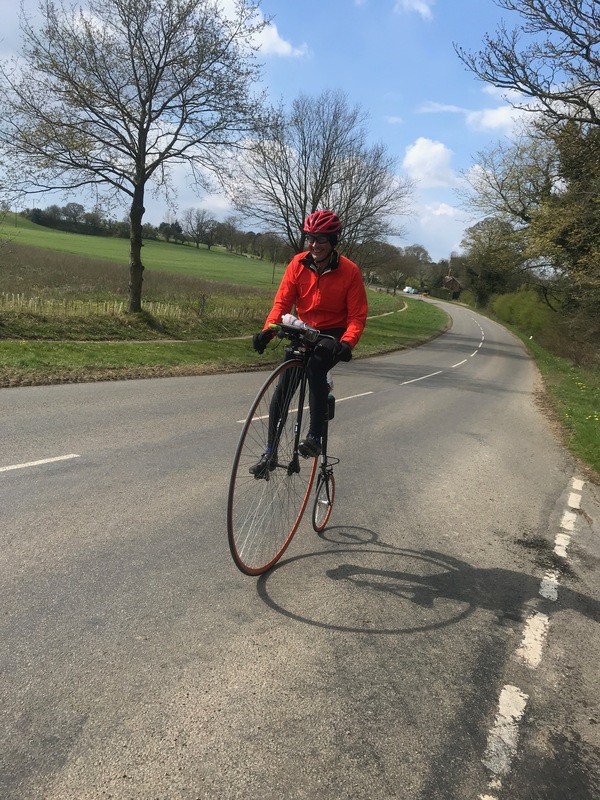 Our aim was to try and get to the halfway point at Snetterton without a cafe stop, and with the tailwind, we were flying along, as we came into Lavenham the church looked very grand and always makes me think wow! By 9:20 nick was stamping our brevet card, after eating a hot cross bun I had in my pocket we set off for Snetterton. Due to the tailwind, we made good time to Snetterton, arriving at 11.40, making it a very enjoyable ride but as we turned into Snetterton circuit we got a taste of what was to come. At Tyrell’s Restaurant, the service was quick and efficient, as we ate, we thought about the howling wind outside and watched as other riders set off into the wind. 40 mins later we ventured out into the wind, the wind so strong we could barely stand up straight. As we set off I thought once we get out of Snetterton and back onto the roads it would ease up but I was wrong! The strong head/ side winds continued all the way to Newmarket and were the most ferocious winds I have ever experienced, I learnt quickly to observe my surrounding look for gaps in the hedges and keep the bike in a low gear, it was mentally exhausting and at times out my comfort zone! Just over 3 hours later we made it to Newmarket, by this time I was dreaming about a cafe stop out of the wind, so my heart sank a little as Geoff turned into the BP garage, but we soon had food and a receipt for our Brevet Card. We also found other riders here too, including Nigel and our quick stop turned into a 30 min stop as we chatted away. As we set off again we realised much to our delight that the wind had dropped and we had less than 50 km to do, after spending most of the ride on our own it was nice to see other riders too and the time passed quickly as we played leapfrog along the way, getting a blast of Nigel’s music every now and again also lifted my spirits. Before long it was dark and I got the chance to try my new Volt 800 light out, I had bought it as an extra light to use with my volt 400, mounting it on my handlebars so I could turn it on and off as needed, it worked really well and I felt much more confident riding in the dark, the roads were reasonably good so our speed did not slow down due to the darkness. We had 3 choices for the final return to Great Dunmow , the main road, which could be busy, the valley road which may contain potholes , or option C which was slightly longer , originally we (or should I say Geoff) had plotted out option C but was enjoying the ride so much we decided to keep to the main road, with the others, in hindsight we wish we had taken the valley road as the main road was quite busy and we had plenty of time so think the valley road would have been more enjoyable. Finally at 18.40 we pulled back into the St. Mary’s Centre at Great Dunmow, to be greeted with soup, rolls and tea, as usual, I felt quite “high” from such an achievement and enjoyed the banter with fellow riders, while discussing the ride, we discovered that a few others had actually been blown off their bikes by the gusts of wind, but thankfully no damage had been done. So that’s 6 out of 12 ! and surely the good weather is now on its way, April’s ride is a 300 so that will be an interesting tale ! 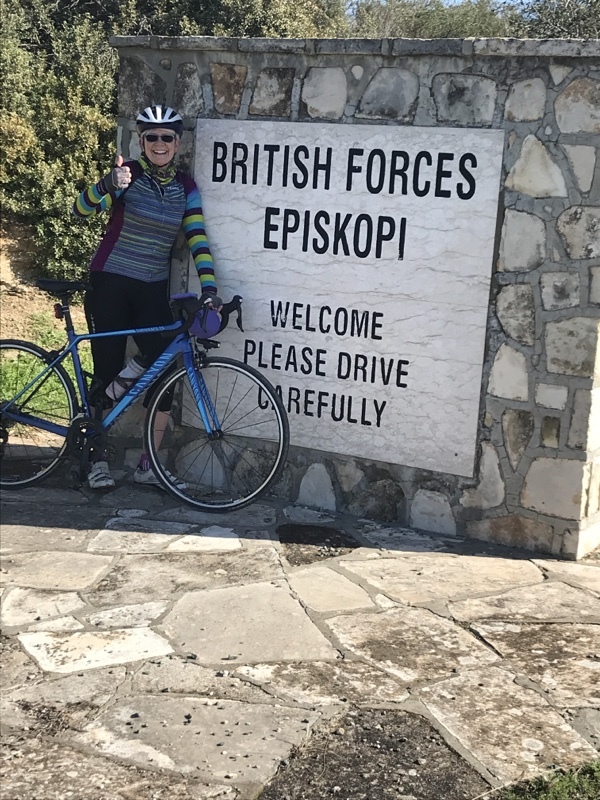 This entry was posted in 200km, Audax, Events, Personal on March 17, 2019 by Sally. Where the months disappear too I just don’t know but somehow it was March and time for the Cambridge Half Marathon. 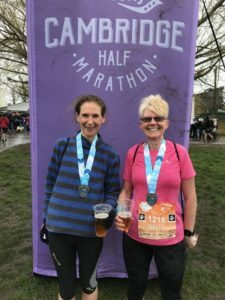 After recovering from my biking injury that had prevented me from running for most of last year I was looking forward to doing some running training ready for the Cambridge half, what I didn’t allow for was the continued menopausal hell ! and the fact that biking was the only thing for many months that made me truly happy ! After the Freethorpe 10 I really struggled with my running, everything became a chore, apart from riding my bike,then I decided enough was enough I wanted my life back so I gave in went Doctors and started HRT, suddenly I had my life back,I was sleeping through the night,I stopped hating everybody,(well almost everybody ?) but most importantly I regained my bounce, the zest for life and my confidence. 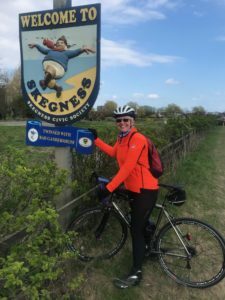 With only 4 weeks till the half marathon there was not much time for training but with a few 8 milers and a 12-mile slow jog along the coast, I went from thinking I would never do it, to thinking if I could bike 120 miles then I could run 13. On the morning of the half marathon, Gina and Richard met me at Geoff’s and we wandered down to Midsummer Common hoping to find many of our friends who would be running, as like past years the atmosphere was amazing and it wasn’t long before the excitement started to build. 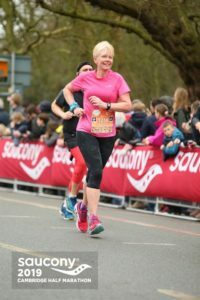 As I had no idea how my run would go I decided to run on my own, well as much as you can be on your own when surrounded by 10,000 other runners, just one reason why I love this event so much. Before long we were all gathered into the starting pens, easier to keep warm this year as we had all been encouraged to wear an unwanted top that could be discarded as you set off, all items would then be collected and donated to the homeless. The weather was cold with some drizzle, perfect running conditions, for some silly reason I made the decision to run without my glasses something I never do and it annoyed me the whole way round, I can see well enough without them but it just didn’t feel right and for this reason I just don’t like any of the free event photos as I just don’t look like me ! My favourite run at home is an 8 mile route which I run quite often,so the first 8 miles was easy enough, as expected the support from around the route was amazing, even nicer when it’s from someone you actually know, the water and gel stations were well manned and easy to get too, nice to see everyone aiming to get the used bottles into the bins, with the promise of them going for recycling. Around the 10 mile mark I noticed the 2.15 pacers, I decided I would try and keep with them, by mile 12 I was struggling a little but was just in front of the pacers, then a call out from Geoff spurred me on,then,down the final straight a call out from someone else I knew made me stride out for the finish line,which I crossed with a time of 2.14, at this point one of the pacers tapped me on the Shoulder and told me he had followed my calf’s for a few miles and what fine calf’s I had, later I thought I should of told him they were cyclist calf’s. I received my medal from one of my fellow Ladybirds which made the whole day just perfect. This entry was posted in Personal on March 10, 2019 by Sally. February the month I hate most, having done 4 x 200km Audaxes we decided we just had to fit in a February one. 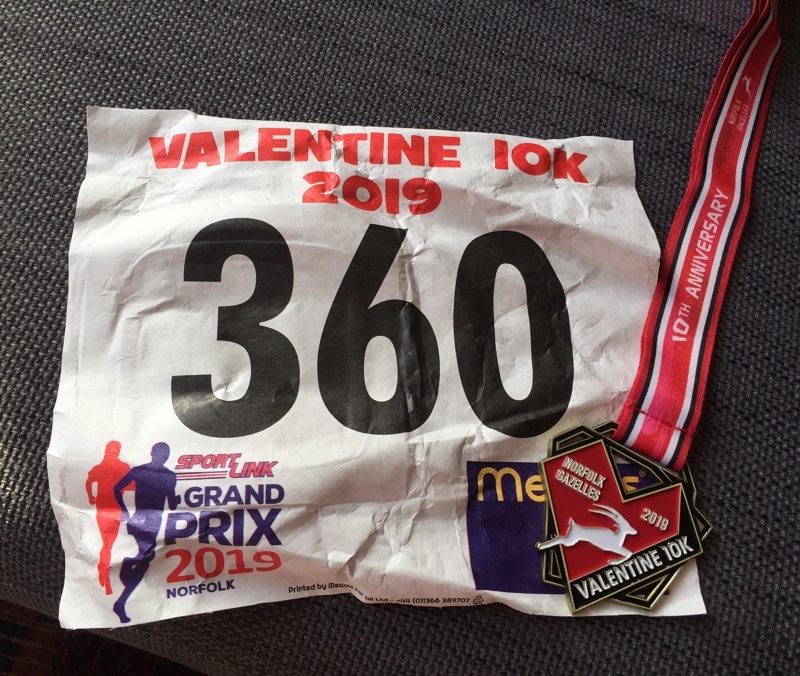 We decided on a permanent event, Cambridge Shipping lanes 200km then we could choose when to ride it, unfortunately, weather stopped play on our preferred date so we were left with only one option, 16th February, the day before my Valentine 10km run, not ideal but it had to be done. Luckily for us, the weekend forecast was clear mild and maybe even sunny. 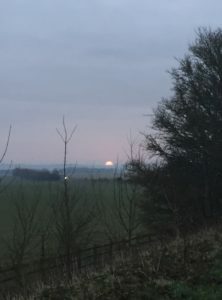 We left Cambridge at 7 am just as the sun was rising, something I still find awesome, we thought we would try and get to the halfway point before stopping for food. The route was very rolling and took us through some beautiful villages including the historic Lavenham, by the time we got to Hadleigh at 11 am I was feeling quite hungry so we stopped for breakfast at Huffers, we keep trying to cut our break times down on these rides but it was still 30 mins before we were on our way again. 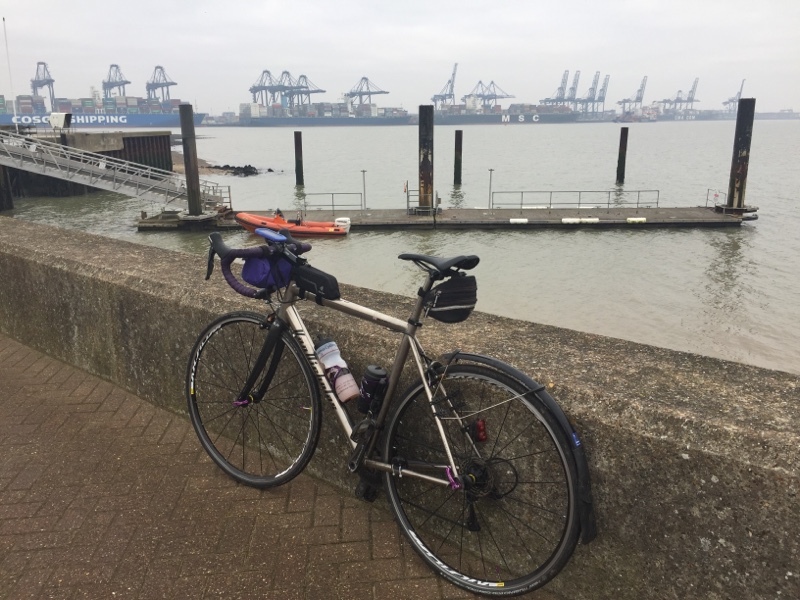 Another hour and a half of lane riding followed by a nice fast stretch into Shotley and we arrived at the Shipwreck pub on the peninsular, neither of us were really hungry or needing a break but it was so lovely we decided to have coffee and cake while enjoying the view. 30 mins later we were on our way home, I always love the halfway point! We or should I say I got the first puncture as we were cycling through the Royal Hospital, a very interesting looking place which is not a hospital as the name suggests! I thought it must have military connections as once you have lived on a military base you can spot them a mile off! A lovely man came to help bringing a track pump, he also told us the history of the place, how it was now a private school, had naval connections and how originally it was where all the naval orphans were sent to live. Once on our way again, Geoff had a close call with a cat, who refused to move out the middle of the road then a deer almost took me out, the speed they run at was quite frightening, before long the sun was setting and the night time riding started. Still a novice at this night time riding I tend to slow down a little and take my time especially when the roads are full of potholes, But we made it to Sudbury with no major mishaps, here we had our obligatory Audax Macdonalds stop, 30 mins seems to be our standard stopping time! Just after Great Thurlow Geoff, had a visit from the puncture fairy, he was not happy especially as it was now dark, but with a bit of patience and using the spare tyre we were soon on our way, only for him to hit a hole further down the road and puncture again! This time he really was not happy, I recalled that in the write up I had read about the route, we would soon be at Balsham and it was all downhill from there, so I tried to comfort Geoff with this news but he was having none of it. Once we got going again my mind fixed onto the downhill into Cambridge and I am happy to say the roads improved and it was a fabulous ride back into Cambridge,interestingly the only hassle we had from other road users was from a Double decker bus as we came into Fulborne, for some unknown reason he had his hand on his horn behind me and all the while he was passing,we thought it could have been because He thought I should be on the cycle path! 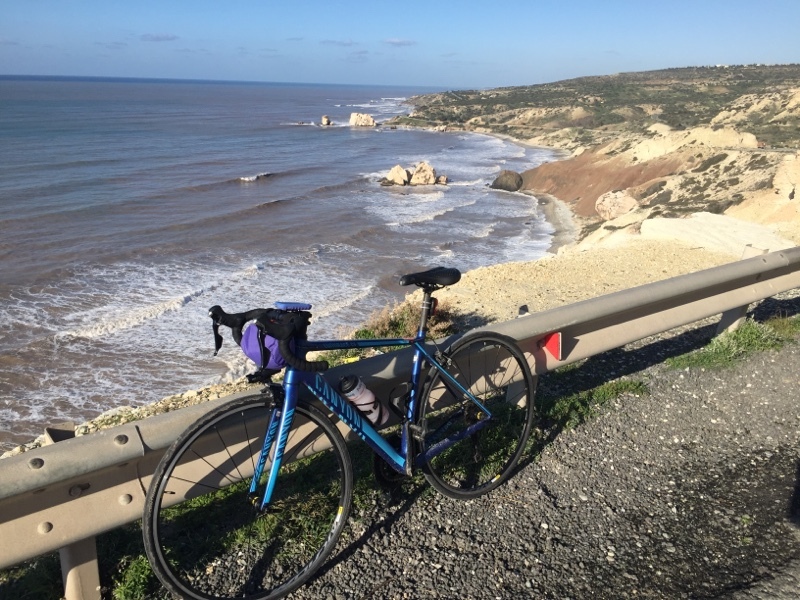 I always expected February to be the hardest month for doing a 200km Audax but the weather was very kind and now I am almost at the 6-month point of no return for an RRtY….. I just have to keep Geoff interested and at home! Btw the Valentines 10km run was the hardest run ever, my legs just did not want to work but I got my bling !! 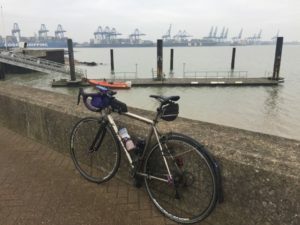 This entry was posted in 10km, Audax, Personal on March 2, 2019 by Sally. It’s the time of year when I am not sure if I am a runner or a cyclist. I tend to run more than bike as it’s a lot safer for starters and after my fall on black ice last January I am not taking any risks on my bike this year. My running suffered due to my fall, as my side/back hurt every time I ran so I spent all of 2018 taking it easy. 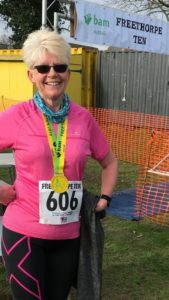 Determined I would start 2019 with my favourite running events, I entered Freethorpe 10, Valentines 10km and Cambridge half marathon hoping I had kept some level of fitness from biking, surely if I can ride 134 miles I can run 13 miles! Having just returned from Cyprus and having ran no more than 10km for around a year,I thought I had better do a longer run. 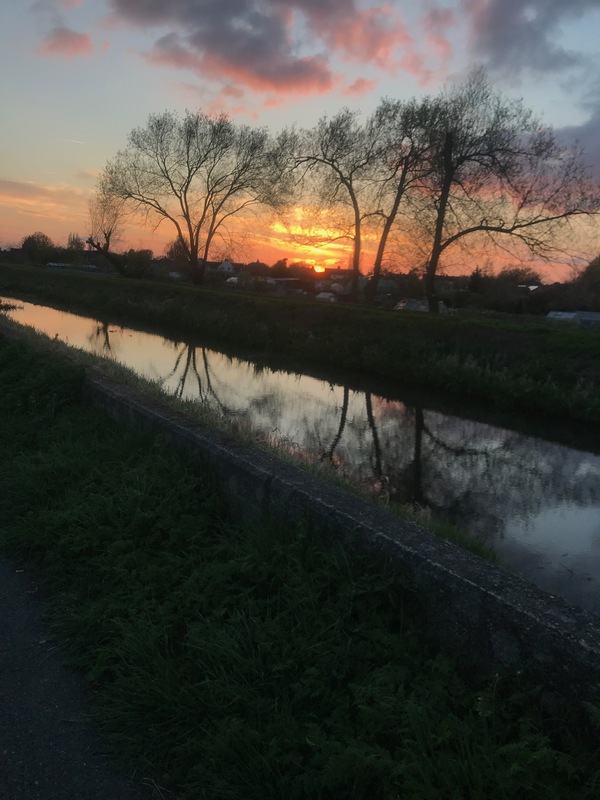 So last week I set out to run 8 miles with a friend and much to my delight not only did I enjoy the run but finally after a full year I had no pain or discomfort. Freethorpe 10 is quite an undulating route for someone that lives in the flatlands, but that adds to the enjoyment, today the weather proved more of a challenge, as not only was it cold but it was also very windy, especially on the more exposed parts of the route. Then there was the dilemma about what to wear and I had to get the colour right. luckily I made the right choice with short sleeves and gloves, not that they stayed on for long! I started with my friends, then after a mile we all settled into our own running pace, running our own race, happy to meet again at the end. Always good to see Geoff at the half way point with words of encouragement. The route was well marshalled and they were great at shouting out words of encouragement. as I expected miles 8/9 were the hardest for me, especially as they were straight into the wind. Anyway I was very happy to finish in 1 hour 43, with not even a twinge from my side/back, a few more longer runs and I might just be ready for The Cambridge Half on March 5th. 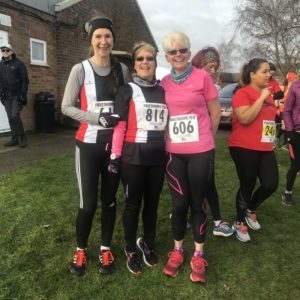 This entry was posted in 10 miles, Events, Personal, Running on January 27, 2019 by Sally. Between 23 December and 6th January I made 8 trips up and down the A10 as well as trips to Chesterfield and Nottingham, more exhausting then running a half marathon !!! I also did a Christmas Day Parkrun,ran two 10km events and rode around 200 miles all this while working too. This year though I didn’t have to cook Christmas dinner as Geoff treated me by taking me to the six restaurant in the Varsity hotel for Christmas lunch and very nice it was too. In the past we have gone skiing but with my shoulder and arm injuries I cannot risk a fall and to be honest skiing is only fabulous when the sun shines. 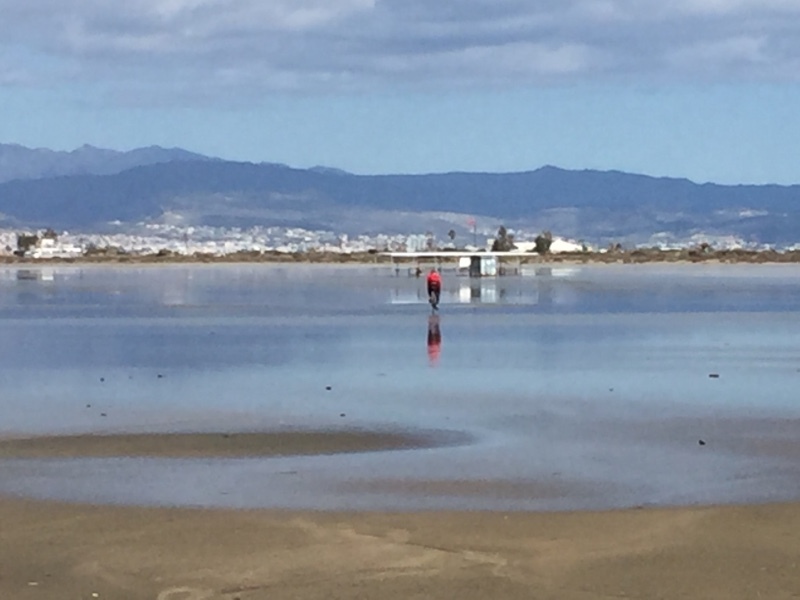 I thought we might go back to El Medano but Just a few weeks ago Geoff suggested we try Cyprus as a holiday destination I agreed straight away as it was somewhere I had looked at going in October last year. Now for some reason maybe because I was feeling exhausted after Christmas and was also fighting off a cold I left Geoff to make the bookings etc. A big mistake that was! as I forgot Geoff never researches or looks at reviews he just books the first thing that looks value for money on booking.com. So today we find ourselves sat on a plane flying to Paphos. Booked into the Panareti hotel, that is actually 6km outside Paphos at Coral bay, though looking at the map it’s not really in Coral bay either. if the reviews are correct we could be in for a shock but surely this all adds to the adventure!!! This entry was posted in Personal, Travel on January 12, 2019 by Sally. 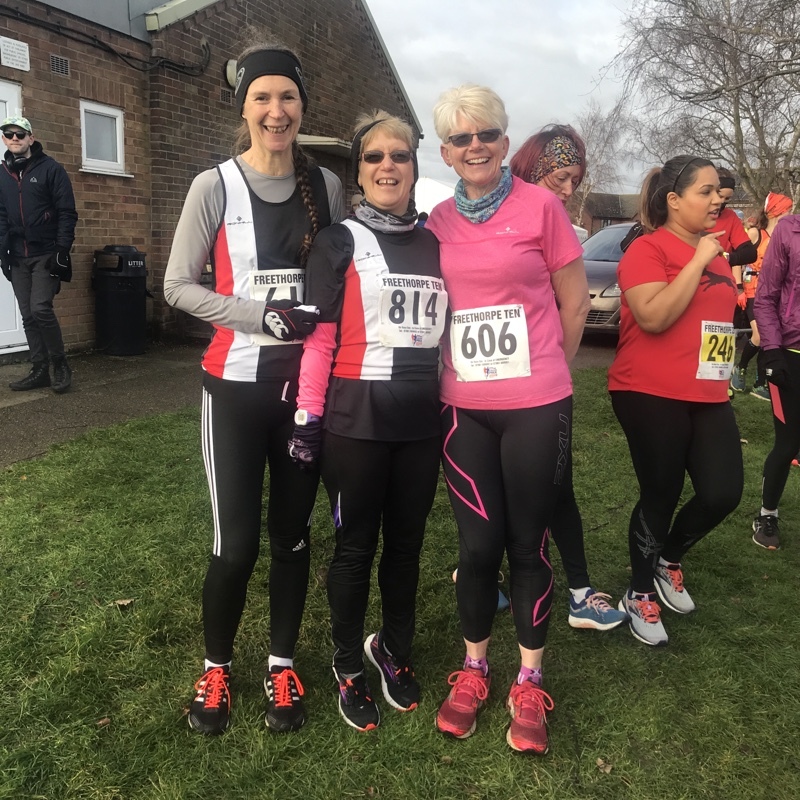 Today I did my first running event of 2019 and it was a little different to my usual road running events. 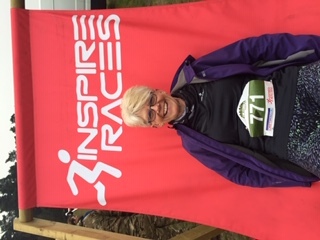 The Inspire Thetford Forest Trails 10k was an off-road event round Thetford forest, starting from High Lodge. The registration area had a nice party atmosphere with music, lots of info over the loudspeaker and a huge Inspire deck chair for fun photos. I was surprised to find there were 500 plus runners. with a Canicross race starting 30 mins after the main runners. Must change the colour of my top! 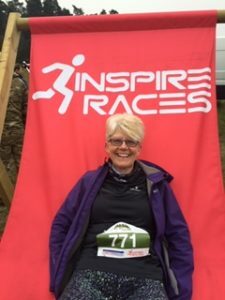 This was a gentle introduction to trail running, the course was well marshaled on a mixture of wide Forest tracks, some soft and grassy, others stony and uneven. surprisingly by the time I finished, my feet felt quite sore !! 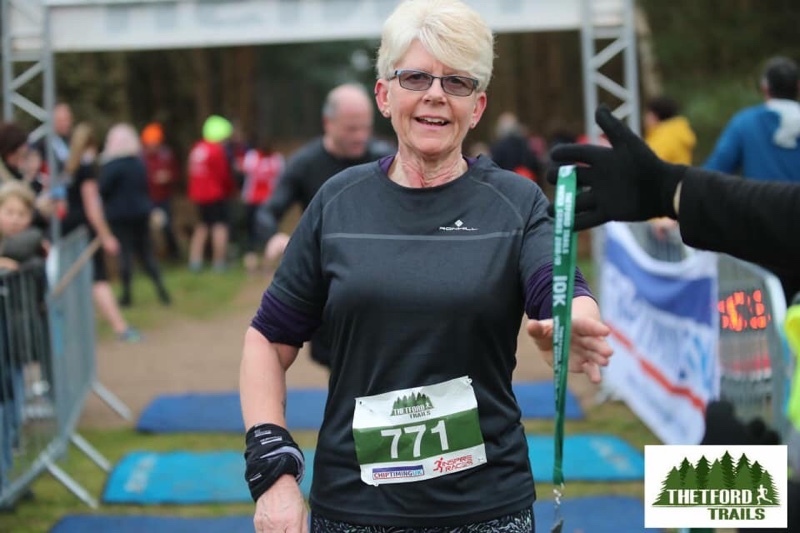 I enjoyed running through the forest, the scenery was lovely, it was quiet and still almost relaxing but it also felt a little lonely with no supporters around the course like you get on a road race. looking forward to doing more off road run/walking over the coming months. 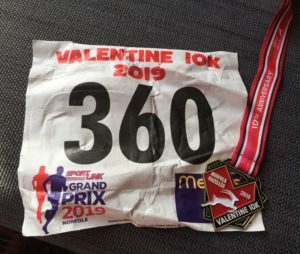 This entry was posted in 10km, Runs, trail running on January 6, 2019 by Sally.